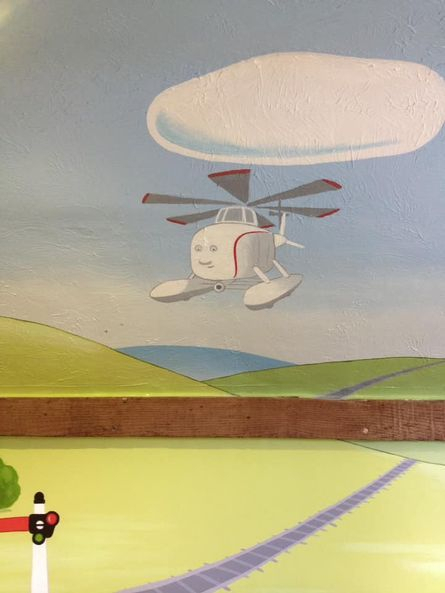 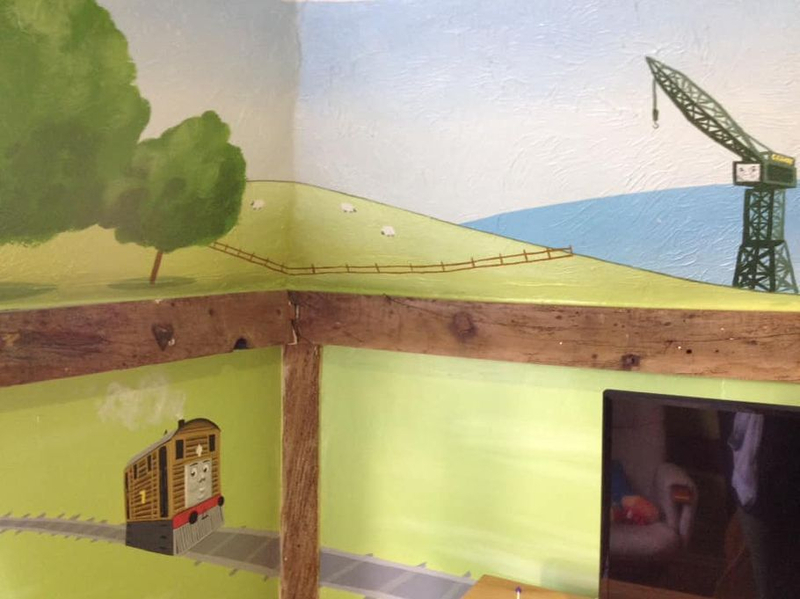 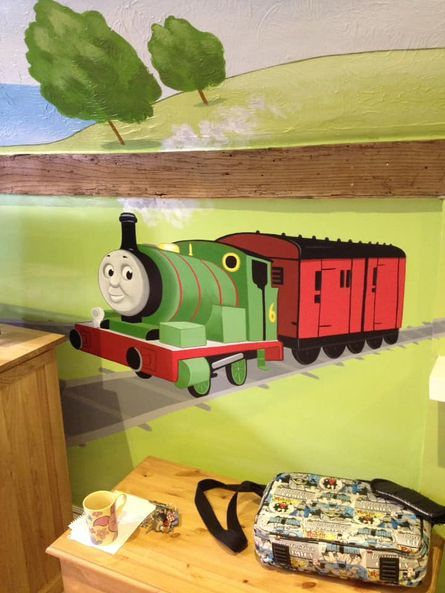 This Thomas the Tank Engine mural was painted over the top of an existing mural that we painted 3 years ago. 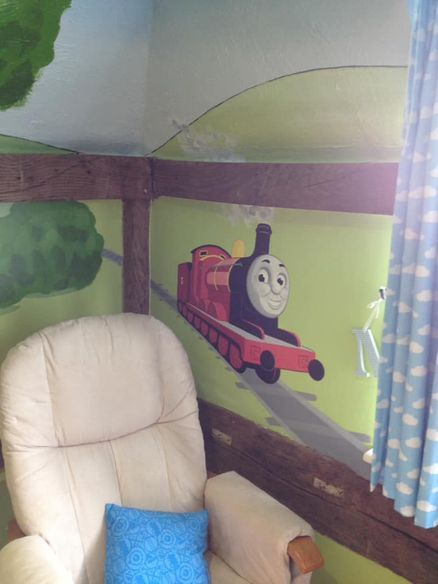 We kept the back ground mostly the same, but changed the characters from Mickey Mouse to Thomas the Tank Engine, as the little boy had grown out of Mickey. 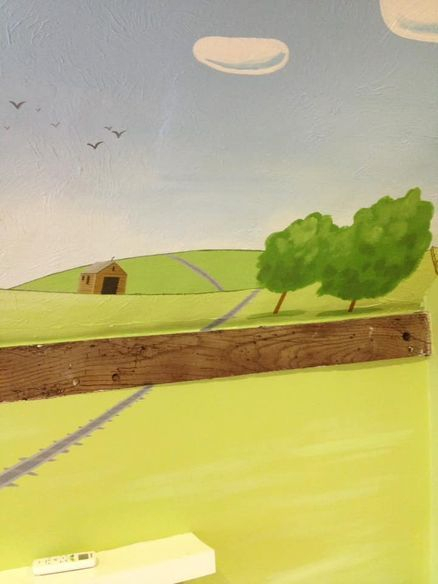 These alterations took one artist 7 days to paint. 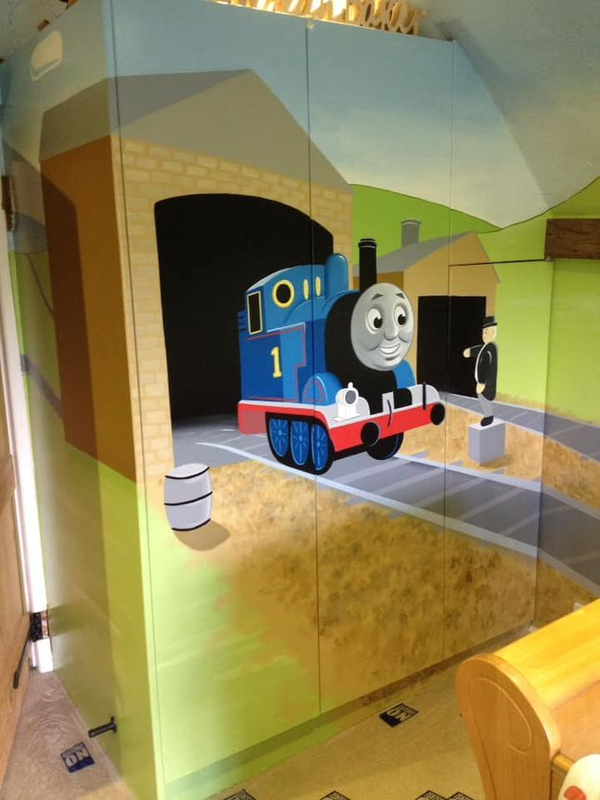 the whole wardrobe was completely repainted and varnished and the back ground was altered to fit with the new theme.